(17h38) A new channel has started in DVB-S Clear: JNC (undefined) on 10850.00MHz, pol.H SR:27500 FEC:3/4 SID:2 PID:201/202 Arabic. (19h02) Antik Sat & OrangeSat Slovakia: Orange Info (Slovakia) has left 11093.00MHz, pol.V (DVB-S2 SID:1206 PID:1601[MPEG-4]/1602 aac Slovakian) (19h02) Max TV: Posavina TV has left 11678.25MHz, pol.H (DVB-S2 SID:132 PID:2817[MPEG-4]/2561 Bosnian), it is no longer transmitted by satellite in Europe. (16h18) Team:Media: EFB 1 is encrypted again after being temporarily unencrypted on 11304.00MHz, pol.H SR:30000 FEC:2/3 SID:15 PID:273[MPEG-4] /275 (BISS). (16h18) Team:Media & Total TV: K3 (Bosnia) is encrypted again after being temporarily unencrypted on 11304.00MHz, pol.H SR:30000 FEC:2/3 SID:21 PID:369[MPEG-4]/371 Bosnian (VideoGuard). (18h31) A new channel has started in DVB-S2 Irdeto 2 & VideoGuard: Boomerang (United Kingdom) on 11123.00MHz, pol.H SR:27500 FEC:2/3 SID:20901 PID:511[MPEG-4]/512 English,513 English,514 Arabic. 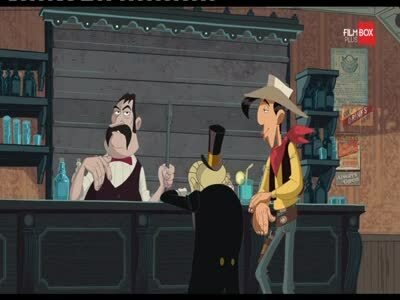 (18h49) A new channel has started in DVB-S2 Irdeto 2 & VideoGuard: Cartoon Network Arabic HD (United Arab Emirates) on 11123.00MHz, pol.H SR:27500 FEC:2/3 SID:20902 PID:521[MPEG-4] /522 English,523 English,524 Arabic. (18h48) A new channel has started in DVB-S2 Irdeto 2 & VideoGuard: CNN International HD (U.S.A.) on 11123.00MHz, pol.H SR:27500 FEC:2/3 SID:20903 PID:541[MPEG-4] /542 English. (18h51) A new channel has started in DVB-S2 Irdeto 2 & VideoGuard: HLN HD (U.S.A.) on 11123.00MHz, pol.H SR:27500 FEC:2/3 SID:20904 PID:551[MPEG-4] /552 English. (18h51) A new channel has started in DVB-S2 Irdeto 2 & VideoGuard: TCM MENA (United Kingdom) on 11123.00MHz, pol.H SR:27500 FEC:2/3 SID:20905 PID:561[MPEG-4] /562 English. 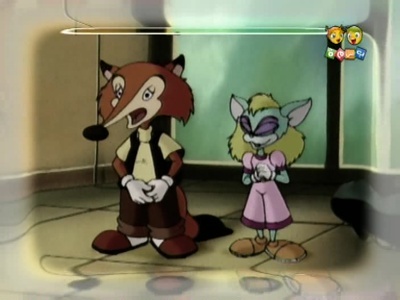 (18h31) A new channel has started in DVB-S2 Irdeto 2 & VideoGuard: Cartoon Network Hindi (U.S.A.) on 11123.00MHz, pol.H SR:27500 FEC:2/3 SID:20906 PID:571[MPEG-4]/572 Hindi. 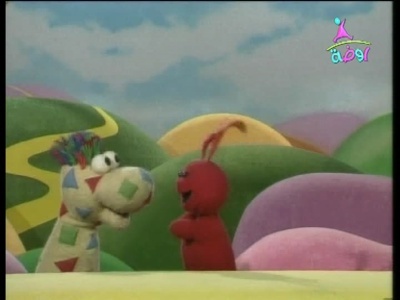 (18h31) A new channel has started in DVB-S2 Irdeto 2 & VideoGuard: CBeebies (United Kingdom) on 11123.00MHz, pol.H SR:27500 FEC:2/3 SID:20907 PID:581[MPEG-4]/582 English. (18h50) A new channel has started in DVB-S2 Irdeto 2 & VideoGuard: DreamWorks (undefined) on 11123.00MHz, pol.H SR:27500 FEC:2/3 SID:20908 PID:591[MPEG-4] /592 Arabic,593 English. (18h52) A new channel has started in DVB-S2 Irdeto 2 & VideoGuard: DKids (undefined) on 11123.00MHz, pol.H SR:27500 FEC:2/3 SID:20909 PID:601[MPEG-4] /602 Arabic,603 English. (23h26) A new channel has started in DVB-S Clear: Hi-Impact TV (undefined) on 11033.00MHz, pol.V SR:5000 FEC:7/8 SID:101 PID:1101[MPEG-4] /1102 English. 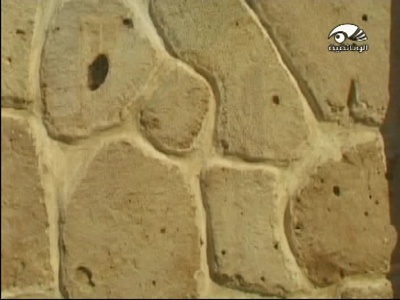 (23h25) A new channel has started in DVB-S Clear: Mazeka Hits (undefined) on 11602.85MHz, pol.H SR:27500 FEC:5/6 SID:203 PID:431/432 Arabic. (08h39) Digitürk: TRT 1 (Turkey) is now transmitted Free To Air (11534.00MHz, pol.V SR:30000 FEC:5/6 SID:1745 PID:2604[MPEG-4]/3612 Turkish). 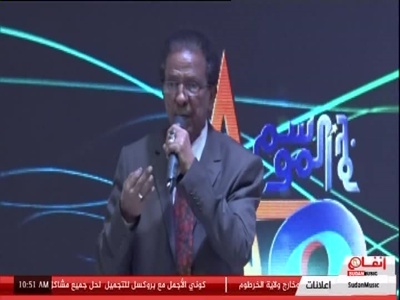 (19h29) A new channel has started in DVB-S2 Clear: Nilesat Promo HD (Egypt) on 11137.00MHz, pol.V SR:27500 FEC:5/6 SID:7301 PID:7301[MPEG-4]/7302 English. 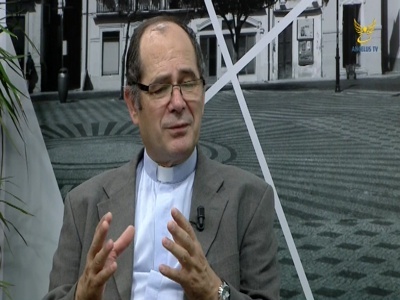 (16h24) Angelus TV (Portugal) is now transmitted Free To Air (12168.00MHz, pol.H SR:27500 FEC:3/4 SID:203 PID:4625[MPEG-4]/4626 aac Portuguese). 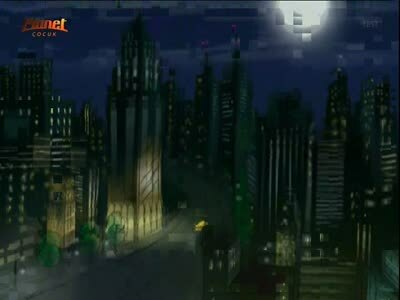 (09h39) Angelus TV is encrypted again after being temporarily unencrypted on 12168.00MHz, pol.H SR:27500 FEC:3/4 SID:203 PID:4625[MPEG-4]/4626 aac Portuguese (Nagravision 3). (16h38) Cyfrowy Polsat: A new channel has started in DVB-S2 Clear: TV Okazje (Poland) on 12188.00MHz, pol.V SR:27500 FEC:3/4 SID:7319 PID:265[MPEG-4]/266. (09h43) AFN Sports is now encrypted in PowerVu & VeriMatrix (4126.00MHz, pol.L SR:11000 FEC:1/2 SID:304 PID:2360[MPEG-4]/2320 English). (23h27) A new channel has started in DVB-S Clear: AlHayat HD (undefined) on 12207.00MHz, pol.V SR:27500 FEC:3/4 SID:3208 PID:1019[MPEG-4] /1020 Arabic. (09h37) Sky Digital: A new channel has started in DVB-S VideoGuard: Sky Halloween (United Kingdom) on 11934.00MHz, pol.V SR:27500 FEC:5/6 SID:4304 PID:512/680 nar,640 English. (09h37) Sky Digital: Sky SciFi / Horror has left 11934.00MHz, pol.V (DVB-S SID:4304 PID:512/680 nar,640 English), it is no longer transmitted by satellite in Europe. (09h37) Sky Digital: A new channel has started in DVB-S2 VideoGuard: Sky Halloween HD (United Kingdom) on 12168.00MHz, pol.V SR:29500 FEC:8/9 SID:3817 PID:512[MPEG-4] /640 nar,660 English. (09h37) Sky Digital: Sky Scifi/Horror HD has left 12168.00MHz, pol.V (DVB-S2 SID:3817 PID:512[MPEG-4] /640 nar,660 English), it is no longer transmitted by satellite in Europe. 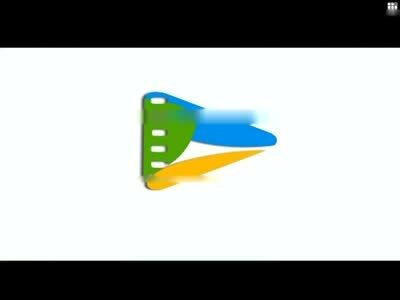 (09h39) Sky Digital: Capital TV has left 11552.75MHz, pol.H (DVB-S SID:55112 PID:2554/2555 English) (09h39) Sky Digital: Retro Movies has left 11464.25MHz, pol.H (DVB-S SID:54217 PID:2327/2328 English), it is no longer transmitted by satellite in Europe. (09h39) Sky Digital: Heart TV has left 11552.75MHz, pol.H (DVB-S SID:55111 PID:2348/2349 English), it is no longer transmitted by satellite in Europe. (17h29) A new channel has started in DVB-S2 Clear: Precious TV (Ghana) on 10971.00MHz, pol.V SR:27500 FEC:3/4 SID:56 PID:34[MPEG-4]/37 English. (09h09) Total TV: A new channel has started in DVB-S2 VideoGuard: Nova M (Macedonia) on 11386.75MHz, pol.H SR:30000 FEC:3/5 SID:1671 PID:271[MPEG-4]/3711 Macedonian. 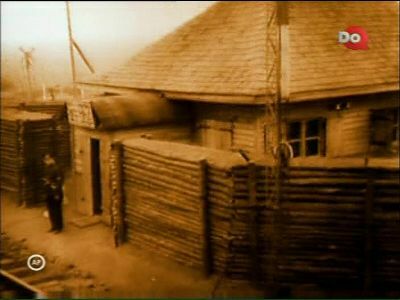 (09h10) Total TV: A new channel has started in DVB-S2 VideoGuard: Nova BH (Bosnia and Herzegovina) on 11386.75MHz, pol.H SR:30000 FEC:3/5 SID:1672 PID:272[MPEG-4]/3721 Bosnian. (16h18) Team:Media & Total TV: K3 (Bosnia) (Bosnia and Herzegovina) is now transmitted Free To Air (11304.00MHz, pol.H SR:30000 FEC:2/3 SID:21 PID:369[MPEG-4]/371 Bosnian). 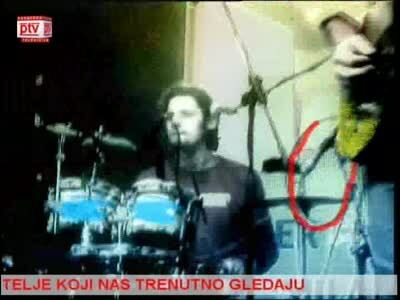 (06h18) Team:Media & Total TV: K3 (Bosnia) (Bosnia and Herzegovina) is now transmitted Free To Air (11304.00MHz, pol.H SR:30000 FEC:2/3 SID:21 PID:369[MPEG-4]/371 Bosnian). 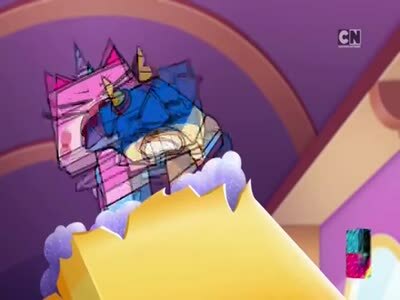 (13h37) Team:Media & Total TV: K3 (Bosnia) is encrypted again after being temporarily unencrypted on 11304.00MHz, pol.H SR:30000 FEC:2/3 SID:21 PID:369[MPEG-4]/371 Bosnian (VideoGuard). 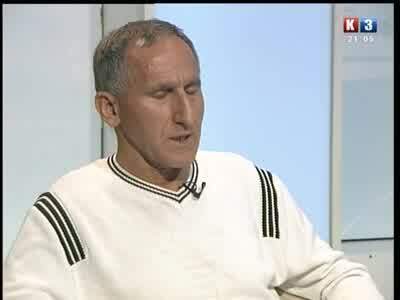 (15h35) Zadruga TV is now encrypted in BISS (12738.00MHz, pol.H SR:2928 FEC:3/4 SID:1 PID:308/256 Serbian). (08h54) Zadruga TV (Serbia) is now transmitted Free To Air (12738.00MHz, pol.H SR:2928 FEC:3/4 SID:1 PID:308/256 Serbian). (18h50) Digitürk: TRT Çocuk is now encrypted in Irdeto 2 (11492.00MHz, pol.V SR:30000 FEC:5/6 SID:1546 PID:2955[MPEG-4]/4515 Turkish). (09h45) A new channel has started in DVB-S2 Panaccess: RiK HD (Slovakia) on 11771.00MHz, pol.V SR:30000 FEC:3/4 SID:11 PID:1111[MPEG-4] /1112 Slovakian. 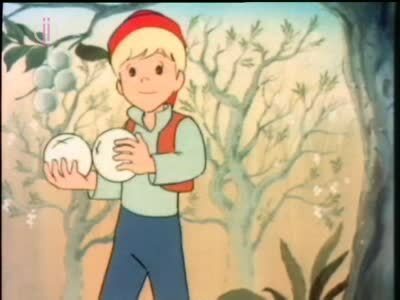 (09h45) A new channel has started in DVB-S2 Panaccess: Disney Jr. Central Europe (Czech republic) on 11771.00MHz, pol.V SR:30000 FEC:3/4 SID:84 PID:1841[MPEG-4]/1842 English. 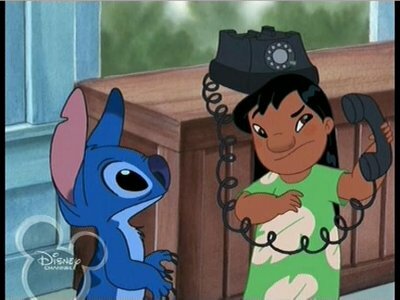 (09h45) A new channel has started in DVB-S2 Panaccess: Disney Channel Hungary & Czechia (Hungary) on 11771.00MHz, pol.V SR:30000 FEC:3/4 SID:122 PID:2221[MPEG-4]/2222 Czech. (09h42) A new channel has started in DVB-S2 Panaccess: TVP Polonia (Poland) on 11811.00MHz, pol.V SR:30000 FEC:3/4 SID:55 PID:1551[MPEG-4]/1552 Polish. (09h46) A new channel has started in DVB-S2 Panaccess: TV5 Monde Europe (France) on 11811.00MHz, pol.V SR:30000 FEC:3/4 SID:56 PID:1561[MPEG-4]/1562 French. 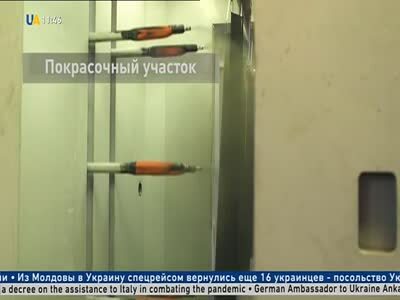 (09h42) A new channel has started in DVB-S2 Panaccess: UA TV (Ukraine) on 11811.00MHz, pol.V SR:30000 FEC:3/4 SID:58 PID:1581[MPEG-4]/1582 English. (09h47) A new channel has started in DVB-S2 Panaccess: Nat Geo Wild HD Czech (Czech republic) on 11811.00MHz, pol.V SR:30000 FEC:3/4 SID:75 PID:1751[MPEG-4] /1752 Czech. (09h47) A new channel has started in DVB-S2 Panaccess: TLC Czech (Czech republic) on 11811.00MHz, pol.V SR:30000 FEC:3/4 SID:80 PID:1801[MPEG-4]/1802 Czech. 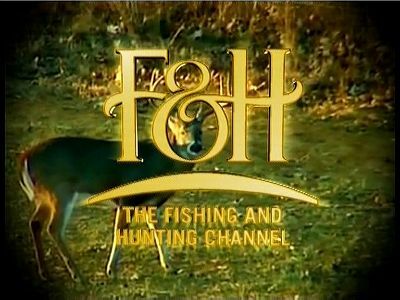 (09h47) A new channel has started in DVB-S2 Panaccess: Fishing & Hunting (Hungary) on 11811.00MHz, pol.V SR:30000 FEC:3/4 SID:82 PID:1821[MPEG-4]/1822 Czech. (09h48) A new channel has started in DVB-S2 Panaccess: DoQ TV (Hungary) on 11811.00MHz, pol.V SR:30000 FEC:3/4 SID:85 PID:1851[MPEG-4]/1852 Czech. (09h48) A new channel has started in DVB-S2 Panaccess: TUTY (Czech republic) on 11811.00MHz, pol.V SR:30000 FEC:3/4 SID:139 PID:2391[MPEG-4]/2392 Czech. (09h42) A new channel has started in DVB-S Panaccess: Travel Channel (United Kingdom) on 11891.00MHz, pol.V SR:30000 FEC:5/6 SID:44 PID:1441[MPEG-4]/1442. (09h49) A new channel has started in DVB-S Panaccess: Discovery Channel Czech (Czech republic) on 11891.00MHz, pol.V SR:30000 FEC:5/6 SID:78 PID:1781[MPEG-4]/1782 Czech. (09h42) A new channel has started in DVB-S Panaccess: Discovery Science (United Kingdom) on 11891.00MHz, pol.V SR:30000 FEC:5/6 SID:79 PID:1791[MPEG-4]/1792 Czech. 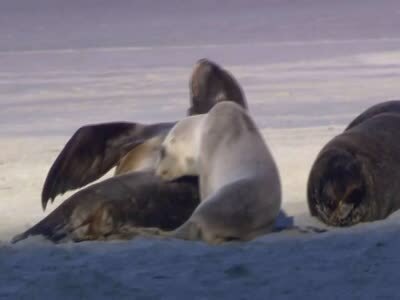 (09h42) A new channel has started in DVB-S Panaccess: Animal Planet HD (United Kingdom) on 11891.00MHz, pol.V SR:30000 FEC:5/6 SID:81 PID:1811[MPEG-4]/1812 Czech. (09h49) A new channel has started in DVB-S Panaccess: Investigation Discovery Xtra (United Kingdom) on 11891.00MHz, pol.V SR:30000 FEC:5/6 SID:87 PID:1871[MPEG-4]/1872 Czech. (09h42) A new channel has started in DVB-S Panaccess: Arena Sport 2 (Slovakia) on 11891.00MHz, pol.V SR:30000 FEC:5/6 SID:109 PID:2091[MPEG-4]/2092. (09h49) A new channel has started in DVB-S Panaccess: Fine Living Network (United Kingdom) on 11891.00MHz, pol.V SR:30000 FEC:5/6 SID:125 PID:2251[MPEG-4]/2252 English. (09h50) A new channel has started in DVB-S Panaccess: Sorozat + (Hungary) on 11891.00MHz, pol.V SR:30000 FEC:5/6 SID:409 PID:5091[MPEG-4]/5092 Hungarian. (09h50) A new channel has started in DVB-S Panaccess: RTL 2 Hungary (Hungary) on 11891.00MHz, pol.V SR:30000 FEC:5/6 SID:411 PID:5111[MPEG-4]/5112 Hungarian. (09h51) A new channel has started in DVB-S Panaccess: 4! 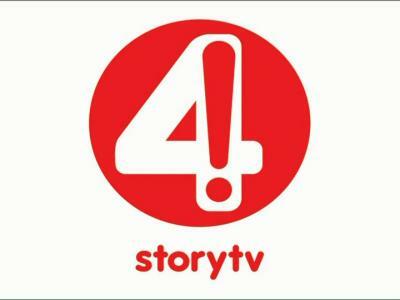 Story TV (Hungary) on 11891.00MHz, pol.V SR:30000 FEC:5/6 SID:412 PID:5121[MPEG-4]/5122 Hungarian. (09h51) A new channel has started in DVB-S Panaccess: TV 2 (Hungary) (Hungary) on 11891.00MHz, pol.V SR:30000 FEC:5/6 SID:417 PID:5171[MPEG-4]/5172 Hungarian. (09h57) A new channel has started in DVB-S2 Panaccess: M1 - Magyar TV (Hungary) on 11931.00MHz, pol.V SR:30000 FEC:3/4 SID:401 PID:5011[MPEG-4]/5012 Hungarian. (09h58) A new channel has started in DVB-S2 Panaccess: Magyar TV 2 (Hungary) on 11931.00MHz, pol.V SR:30000 FEC:3/4 SID:402 PID:5021[MPEG-4]/5022 Hungarian. (09h42) A new channel has started in DVB-S2 Panaccess: Duna TV (Hungary) on 11931.00MHz, pol.V SR:30000 FEC:3/4 SID:406 PID:5061[MPEG-4]/5062 Hungarian. (09h42) A new channel has started in DVB-S2 Panaccess: Duna World (Hungary) on 11931.00MHz, pol.V SR:30000 FEC:3/4 SID:407 PID:5071[MPEG-4]/5072 Hungarian. (09h42) Filmbox Plus (undefined) is now transmitted Free To Air (11811.00MHz, pol.V SR:30000 FEC:3/4 SID:115 PID:2151[MPEG-4]/2152 Czech). 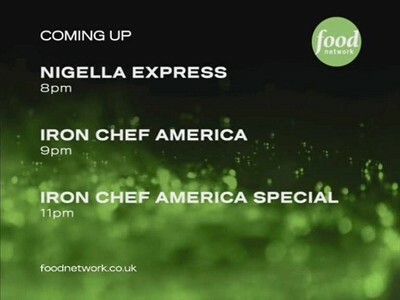 (09h42) Food Network is back on 11891.00MHz, pol.V SR:30000 FEC:5/6 SID:99 after a break ( PID:1991[MPEG-4]/1992 - Panaccess). (09h42) Prima Televize has left 11771.00MHz, pol.V (DVB-S2 SID:25 PID:1251[MPEG-4]/1252 Czech), it is no longer transmitted by satellite in Europe. (09h41) Sky Italia: AB Channel has left 12673.00MHz, pol.V (DVB-S SID:14531 PID:2550[MPEG-4]/2551 Italian), it is no longer transmitted by satellite in Europe. (09h52) Tigo Sports (Paraguay) broadcasts in DVB-S2 Conax on 3840.00MHz, pol.V SR:7500 FEC:3/4 SID:100 PID:289[MPEG-4]/3008 aac Spanish. (09h53) A new channel has started in DVB-S PowerVu: ID Argentina (Argentina) on 3967.00MHz, pol.H SR:21090 FEC:3/4 SID:25 PID:210/200 Spanish. (09h52) Discovery Venezuela has left 3967.00MHz, pol.H (DVB-S SID:25 PID:210/200 Spanish), it is no longer transmitted by satellite in Europe. (19h05) A new channel has started in DVB-S2 Clear: Ca$h Chrono (undefined) on 11324.00MHz, pol.H SR:1485 FEC:7/8 SID:1 PID:2318[MPEG-4]/. (18h17) Movie 24 has left 10887.00MHz, pol.V (DVB-S SID:4406 PID:2061/3061 Farsi), it is no longer transmitted by satellite in Europe. (12h34) A new channel has started in DVB-S Clear: Bahartürk (Turkey) on 11557.00MHz, pol.V SR:30000 FEC:2/3 SID:51008 PID:6008/6108 Turkish. (15h17) Halk TV Euro (Turkey) broadcasts in DVB-S Clear on 11977.00MHz, pol.H SR:27500 FEC:5/6 SID:1103 PID:103/203 Turkish. (15h18) Halk TV Euro (Turkey) broadcasts in DVB-S Clear on 11977.00MHz, pol.H SR:27500 FEC:5/6 SID:1117 PID:117/217 Turkish. (15h19) Halk TV Euro (Turkey) broadcasts in DVB-S Clear on 11977.00MHz, pol.H SR:27500 FEC:5/6 SID:1133 PID:133/233 Turkish. (15h17) A new channel has started in DVB-S Clear: Kanal D Turkiye (Turkey) on 11977.00MHz, pol.H SR:27500 FEC:5/6 SID:1101 PID:101/201 Turkish. (15h18) A new channel has started in DVB-S Clear: NHK World (Japan) on 11977.00MHz, pol.H SR:27500 FEC:5/6 SID:1105 PID:105/205 English Japanese. 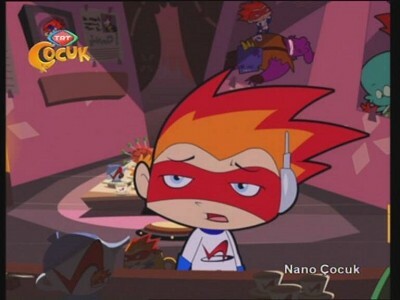 (14h28) A new channel has started in DVB-S Clear: Cartoon Network (United Kingdom) on 11977.00MHz, pol.H SR:27500 FEC:5/6 SID:1115 PID:115/215 Turkish,315 English. (14h28) A new channel has started in DVB-S Clear: MGC (Turkey) on 11977.00MHz, pol.H SR:27500 FEC:5/6 SID:1119 PID:119/219 Turkish. (15h18) A new channel has started in DVB-S Clear: Shopping TV Turkey (Turkey) on 11977.00MHz, pol.H SR:27500 FEC:5/6 SID:1123 PID:123/223 Turkish. 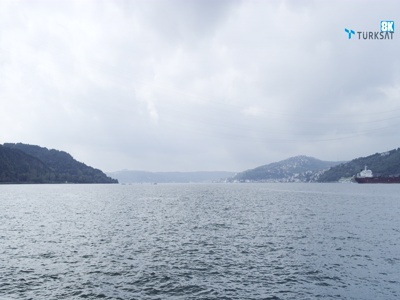 (14h28) A new channel has started in DVB-S Clear: Kanal Yalova (Turkey) on 11977.00MHz, pol.H SR:27500 FEC:5/6 SID:1125 PID:125/225 Turkish. 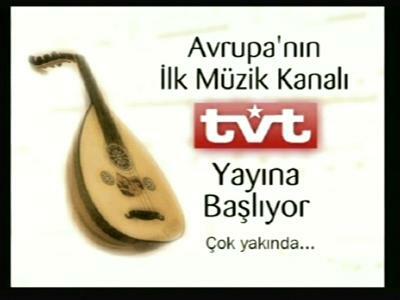 (15h18) A new channel has started in DVB-S Clear: Plus Muzik (Turkey) on 11977.00MHz, pol.H SR:27500 FEC:5/6 SID:1127 PID:127/227 Turkish. (15h19) A new channel has started in DVB-S Clear: Top Shop TV Turkey (Turkey) on 11977.00MHz, pol.H SR:27500 FEC:5/6 SID:1131 PID:131/231 Turkish. 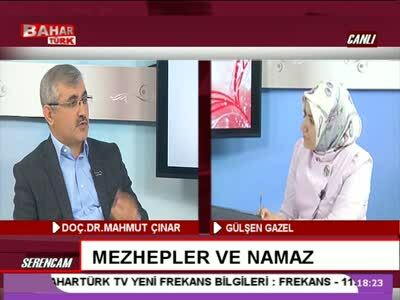 (14h28) A new channel has started in DVB-S Clear: Yeni Sinema (Turkey) on 11977.00MHz, pol.H SR:27500 FEC:5/6 SID:1135 PID:135/235 Turkish. (14h28) A new channel has started in DVB-S Clear: Park TV (Turkey) on 11977.00MHz, pol.H SR:27500 FEC:5/6 SID:1137 PID:137/237 Turkish. 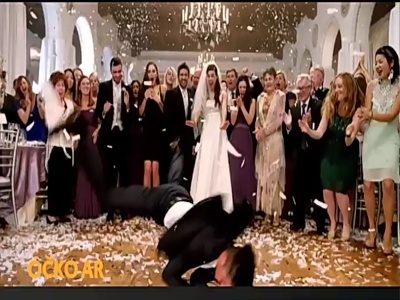 (14h28) A new channel has started in DVB-S Clear: Mega Muzik (Turkey) on 11977.00MHz, pol.H SR:27500 FEC:5/6 SID:1139 PID:139/239 Turkish. (15h20) A new channel has started in DVB-S Clear: Shopping TV Turkey (Turkey) on 11977.00MHz, pol.H SR:27500 FEC:5/6 SID:1147 PID:147/247 Turkish. (14h28) A new channel has started in DVB-S Clear: Anadolu TV (Turkey) on 11977.00MHz, pol.H SR:27500 FEC:5/6 SID:1151 PID:151/251 Turkish. (14h28) A new channel has started in DVB-S Clear: Star TV (Turkey) on 12015.00MHz, pol.H SR:27500 FEC:5/6 SID:10800 PID:1800/1900 Turkish. (15h14) A new channel has started in DVB-S Clear: NTV Turkey (Turkey) on 12015.00MHz, pol.H SR:27500 FEC:5/6 SID:10801 PID:1801/1901 Turkish. (15h10) A new channel has started in DVB-S Clear: DMAX Turkey (Turkey) on 12015.00MHz, pol.H SR:27500 FEC:5/6 SID:10802 PID:1802/1902 Turkish. 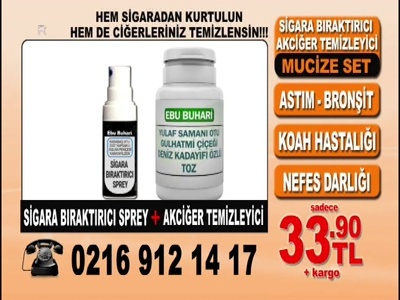 (14h28) A new channel has started in DVB-S Clear: Star TV HD (Turkey) on 12015.00MHz, pol.H SR:27500 FEC:5/6 SID:10805 PID:1805[MPEG-4]/1905 Turkish. (14h28) A new channel has started in DVB-S Clear: NTV HD (Turkey) on 12015.00MHz, pol.H SR:27500 FEC:5/6 SID:10806 PID:1806[MPEG-4]/1906 Turkish. (15h11) A new channel has started in DVB-S Clear: DMAX HD Turkey (Turkey) on 12015.00MHz, pol.H SR:27500 FEC:5/6 SID:10815 PID:1815[MPEG-4] /1915 Turkish. (14h28) A new channel has started in DVB-S Clear: Kral TV (Turkey) on 12015.00MHz, pol.H SR:27500 FEC:5/6 SID:10816 PID:1816/1916 Turkish. (15h16) A new channel has started in DVB-S Clear: Kral TV HD (Turkey) on 12015.00MHz, pol.H SR:27500 FEC:5/6 SID:10818 PID:1818[MPEG-4] /1918 Turkish. (22h50) A new channel has started in DVB-S Clear: A Haber (Turkey) on 12054.00MHz, pol.H SR:27500 FEC:5/6 SID:10301 PID:1301/1401. (22h50) A new channel has started in DVB-S Clear: Minikago (Turkey) on 12054.00MHz, pol.H SR:27500 FEC:5/6 SID:10304 PID:1304/1404 Turkish,1504 English. (22h50) A new channel has started in DVB-S Clear: ATV HD (Turkey) on 12054.00MHz, pol.H SR:27500 FEC:5/6 SID:10305 PID:1305[MPEG-4]/1405. (22h50) A new channel has started in DVB-S Clear: A Haber HD (Turkey) on 12054.00MHz, pol.H SR:27500 FEC:5/6 SID:10306 PID:1306[MPEG-4]/1406. 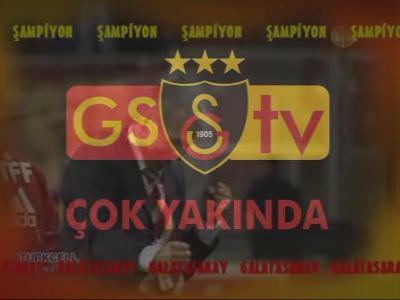 (22h50) A new channel has started in DVB-S Clear: A Spor HD (Turkey) on 12054.00MHz, pol.H SR:27500 FEC:5/6 SID:10307 PID:1307[MPEG-4]/1407. (23h28) A new channel has started in DVB-S Clear: A2 Turkey (Turkey) on 12054.00MHz, pol.H SR:27500 FEC:5/6 SID:10314 PID:1314/1414 Turkish. (12h24) A new channel has started in DVB-S Clear: TVT (Turkey) on 12095.00MHz, pol.H SR:4800 FEC:5/6 SID:11502 PID:2502/2602 one. (12h24) A new channel has started in DVB-S Clear: Show TV (Turkey) on 12220.00MHz, pol.H SR:6500 FEC:3/4 SID:11100 PID:2100/2200 Turkish. 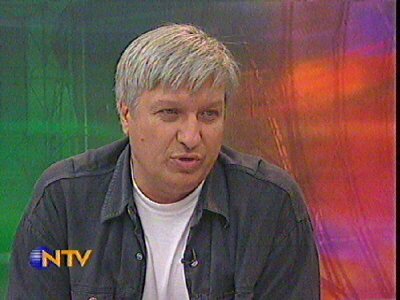 (12h24) New SID for Kanal 7 on 12095.00MHz, pol.H FEC:5/6 SR:4800: SID:11500 ( PID:2500/2600 Turkish - Clear). (14h28) 1AN TV is back on 11977.00MHz, pol.H SR:27500 FEC:5/6 SID:1121 after a break ( PID:121/221 Turkish - Clear). (14h28) Kanal S is back on 11977.00MHz, pol.H SR:27500 FEC:5/6 SID:1129 after a break ( PID:129/229 Turkish - Clear). (14h28) Yeni Sinema is back on 11977.00MHz, pol.H SR:27500 FEC:5/6 SID:1141 after a break ( PID:141/241 Turkish - Clear). (14h28) Mega Muzik is back on 11977.00MHz, pol.H SR:27500 FEC:5/6 SID:1143 after a break ( PID:143/243 Turkish - Clear). (14h28) Kanal S is back on 11977.00MHz, pol.H SR:27500 FEC:5/6 SID:1145 after a break ( PID:145/245 Turkish - Clear). 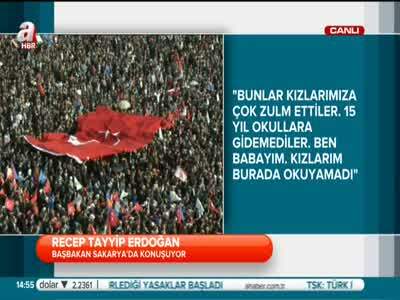 (14h28) 1AN TV is back on 11977.00MHz, pol.H SR:27500 FEC:5/6 SID:1149 after a break ( PID:149/249 Turkish - Clear). 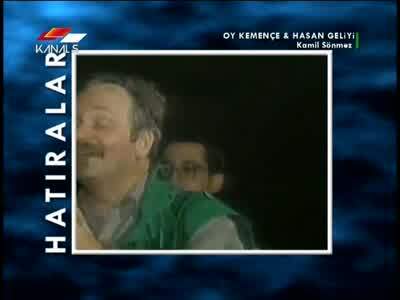 (14h28) 1AN TV is back on 11977.00MHz, pol.H SR:27500 FEC:5/6 SID:1153 after a break ( PID:153/253 Turkish - Clear). (14h28) Planet Çocuk is back on 11977.00MHz, pol.H SR:27500 FEC:5/6 SID:1155 after a break ( PID:155/255 Turkish - Clear). (22h50) ATV is back on 12054.00MHz, pol.H SR:27500 FEC:5/6 SID:10300 after a break ( PID:1300/1400 Turkish - Clear). (22h50) A Spor is back on 12054.00MHz, pol.H SR:27500 FEC:5/6 SID:10302 after a break ( PID:1302/1402 Turkish - Clear). (18h55) Zadruga TV is now encrypted in BISS (12738.00MHz, pol.H SR:2928 FEC:3/4 SID:1 PID:308/256 Serbian). (08h57) Zadruga TV (Serbia) is now transmitted Free To Air (12738.00MHz, pol.H SR:2928 FEC:3/4 SID:1 PID:308/256 Serbian). 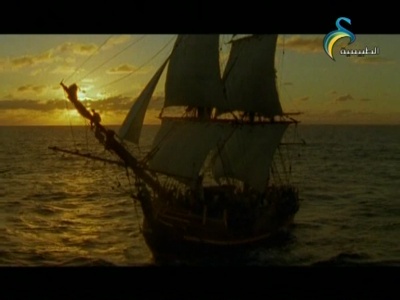 (19h28) New SID for Best TV (Arabic) on 10727.37MHz, pol.H FEC:5/6 SR:27500: SID:4940 ( PID:4942/4943 Arabic - Clear). (18h42) Digitürk: TRT 1 is now encrypted in Irdeto 2 (11534.00MHz, pol.V SR:30000 FEC:5/6 SID:1745 PID:2604[MPEG-4]/3612 Turkish). (08h43) Digitürk: TRT Çocuk (Turkey) is now transmitted Free To Air (11492.00MHz, pol.V SR:30000 FEC:5/6 SID:1546 PID:2955[MPEG-4]/4515 Turkish). (18h14) A new channel has started in DVB-S2 Clear: ETV HD (Portugal) on 3654.00MHz, pol.L SR:4550 FEC:2/5 SID:2 PID:515[MPEG-4]/4112 English,4128 Spanish. 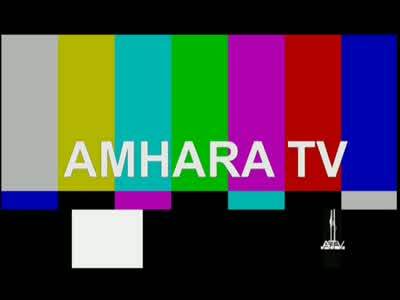 (18h14) A new channel has started in DVB-S Clear: Amhara TV (undefined) on 3665.00MHz, pol.L SR:3690 FEC:3/4 SID:1 PID:308/256 English,257 English. 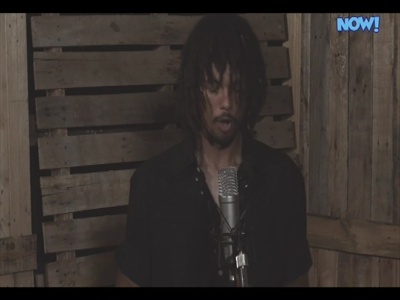 (07h22) Geo Tez is encrypted again after being temporarily unencrypted on 3729.00MHz, pol.V SR:29720 FEC:3/5 SID:1120 PID:108[MPEG-4]/208 English (Conax). (20h53) Sky Digital: Olive TV has left 11582.25MHz, pol.H (DVB-S SID:52104 PID:2318/2319 English), it is no longer transmitted by satellite in Europe. (20h26) A new channel has started in DVB-S2 Clear: Belarus 24 (Belarus) on 11230.00MHz, pol.H SR:45000 FEC:5/6 SID:1 PID:33/32. (16h56) A new channel has started in DVB-S2 Clear: Mubasher HD (undefined) on 11045.00MHz, pol.H SR:27500 FEC:2/3 SID:10102 PID:602[MPEG-4] /820 Arabic. 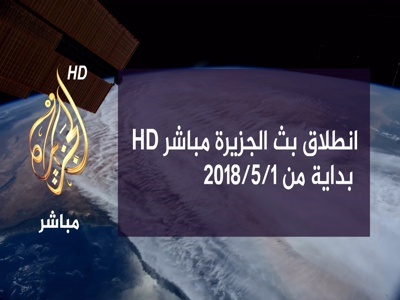 (16h48) A new channel has started in DVB-S2 Clear: Al Jazeera Mubasher 2 HD (Qatar) on 11045.00MHz, pol.H SR:27500 FEC:2/3 SID:10105 PID:605[MPEG-4]/850 English. 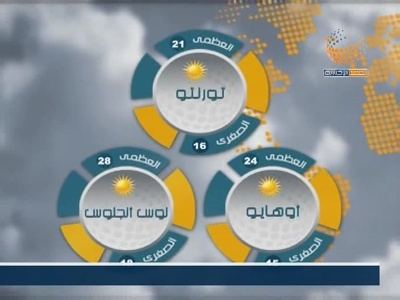 (16h07) New SID for Best TV (Arabic) on 10727.37MHz, pol.H FEC:5/6 SR:27500: SID:4810 ( PID:4812/4813 Arabic - Clear). 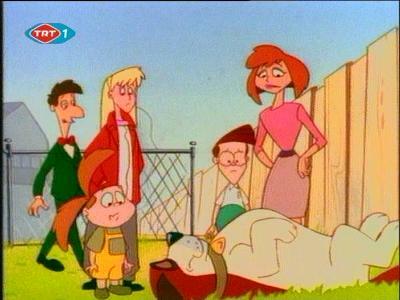 (18h29) Hi-Impact TV is back on 10992.00MHz, pol.V SR:5000 FEC:9/10 SID:107 after a break ( PID:1171[MPEG-4]/1172 - Clear). (22h16) Elmoled is back on 11257.61MHz, pol.H SR:27500 FEC:3/4 SID:403 after a break ( PID:631/632 - Clear). (11h45) Digitürk: TRT Çocuk is now encrypted in Irdeto 2 (11492.00MHz, pol.V SR:30000 FEC:5/6 SID:1546 PID:2955[MPEG-4]/4515 Turkish). (15h20) Digitürk: TRT Çocuk (Turkey) is now transmitted Free To Air (11492.00MHz, pol.V SR:30000 FEC:5/6 SID:1546 PID:2955[MPEG-4]/4515 Turkish). (08h45) Digitürk: TRT 1 (Turkey) is now transmitted Free To Air (11534.00MHz, pol.V SR:30000 FEC:5/6 SID:1745 PID:2604[MPEG-4]/3612 Turkish). (09h29) A new channel has started in DVB-S Clear: D Cinema (undefined) on 11179.00MHz, pol.H SR:27500 FEC:5/6 SID:82 PID:3198/3298. (09h29) A new channel has started in DVB-S Clear: Bangawaz (undefined) on 12685.00MHz, pol.H SR:27500 FEC:5/6 SID:1660 PID:1661/1662 Arabic. (16h28) A new channel has started in DVB-S2 Panaccess: Ocko Star (Czech republic) on 11811.00MHz, pol.V SR:30000 FEC:3/4 SID:16 PID:1161[MPEG-4]/1162 Czech. (16h28) A new channel has started in DVB-S2 Panaccess: Slagr 2 (Slovakia) on 11811.00MHz, pol.V SR:30000 FEC:3/4 SID:17 PID:1171[MPEG-4]/1172 Czech. (16h28) Filmbox Plus is now encrypted in Panaccess (11811.00MHz, pol.V SR:30000 FEC:3/4 SID:115 PID:2151[MPEG-4]/2152 Czech). (16h25) Prima Plus HD (Czech republic) is now transmitted Free To Air (11771.00MHz, pol.V SR:30000 FEC:3/4 SID:43 PID:1431[MPEG-4]/1432 Czech). (16h25) TV Lux is encrypted again after being temporarily unencrypted on 11771.00MHz, pol.V SR:30000 FEC:3/4 SID:10 PID:1101[MPEG-4]/1102 Slovakian (Panaccess). (11h28) New PID for Paraguay TV: PID:3001[MPEG-4]/290 aac Spanish SID:102 (3840.00MHz, pol.V SR:7500 FEC:3/4 - Clear). (21h06) A new channel has started in DVB-S Clear: Victorious TV (South Africa) on 12562.00MHz, pol.H SR:27500 FEC:3/4 SID:32 PID:818[MPEG-4]/1074 English. (20h59) A new channel has started in DVB-S2 Clear: Now! 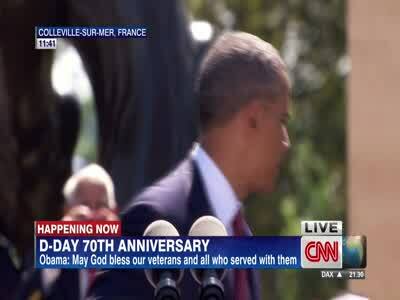 (undefined) on 12634.00MHz, pol.V SR:16166 FEC:5/6 SID:33 PID:2001[MPEG-4]/2002 English. (20h59) A new channel has started in DVB-S Clear: LoveWorldSat HD (South Africa) on 12682.00MHz, pol.H SR:27500 FEC:3/4 SID:6 PID:774[MPEG-4] /1030 English. (21h03) Vedic has left 3778.00MHz, pol.V (DVB-S SID:2 PID:514[MPEG-4]/515), it is no longer transmitted by satellite in Europe. (13h32) Botswana TV 2 has left 12634.00MHz, pol.V (DVB-S2 SID:33 PID:1332[MPEG-4]/1333 English), it is no longer transmitted by satellite in Europe. 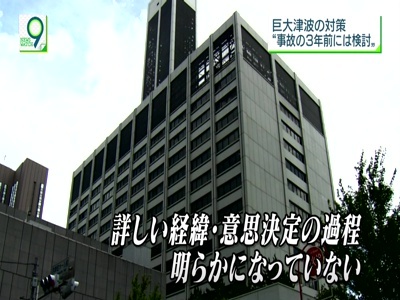 (14h33) NHK Premium (Japan) is now transmitted Free To Air (4160.00MHz, pol.H SR:26590 FEC:1/2 SID:41 PID:1460[MPEG-4] /1420,1422 Japanese). (20h40) A new channel has started in DVB-S2 Clear: LTV (undefined) on 3751.00MHz, pol.R SR:18315 FEC:5/6 SID:201 PID:273[MPEG-4]/274. 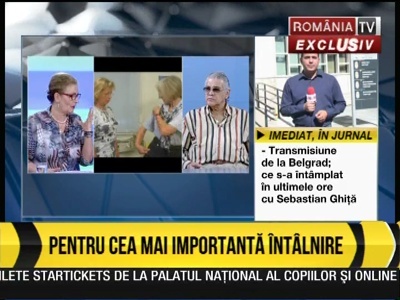 (20h40) Focus Sat: A new channel has started in DVB-S Clear: Prima TV (Romania) on 11672.00MHz, pol.H SR:4960 FEC:7/8 SID:1 PID:1160/1120. (20h40) Focus Sat: A new channel has started in DVB-S Clear: Kiss TV (Romania) on 11672.00MHz, pol.H SR:4960 FEC:7/8 SID:2 PID:1161/1121. (14h24) SportsMax 2 (Jamaica) is now transmitted Free To Air (4003.00MHz, pol.V SR:10000 FEC:3/4 SID:300 PID:300[MPEG-4]/301 English,302 English). (14h25) Televicentro is encrypted again after being temporarily unencrypted on 4102.00MHz, pol.H SR:8400 FEC:3/5 SID:5 PID:5152[MPEG-4]/5153 aac (Irdeto 2). (11h22) Canal 24 Horas is encrypted again after being temporarily unencrypted on 4132.00MHz, pol.R SR:30000 FEC:2/3 SID:119 PID:5169[MPEG-4]/5170 aac (PowerVu). (19h09) Geo Tez (Pakistan) is now transmitted Free To Air (3729.00MHz, pol.V SR:29720 FEC:3/5 SID:1120 PID:108[MPEG-4]/208 English). (16h43) A new channel has started in DVB-S Clear: Farkli TV (Turkey) on 12079.00MHz, pol.H SR:6400 FEC:5/6 SID:11400 PID:2175/2275 English. (16h43) A new channel has started in DVB-S Clear: Tivibu Spor (Turkey) on 12196.00MHz, pol.H SR:8888 FEC:3/4 SID:15200 PID:4200/4300 Turkish. (20h36) A new channel has started in DVB-S2 Clear: Ashorooq TV (Sudan) on 12522.00MHz, pol.V SR:27500 FEC:3/4 SID:4 PID:204/304 Arabic. (20h33) A new channel has started in DVB-S2 Clear: S24 (Italy) on 12522.00MHz, pol.V SR:27500 FEC:3/4 SID:5 PID:214/305. 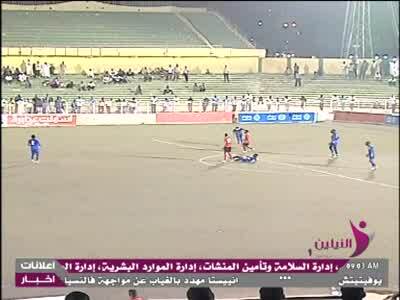 (20h33) A new channel has started in DVB-S2 Clear: Neelain Sport (Sudan) on 12522.00MHz, pol.V SR:27500 FEC:3/4 SID:6 PID:206/306. 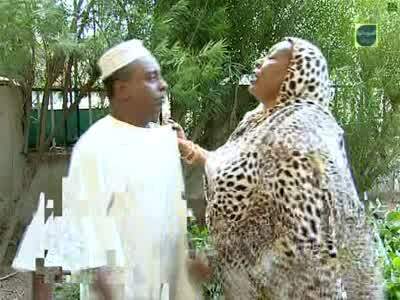 (20h33) A new channel has started in DVB-S2 Clear: Sudan Drama (Sudan) on 12522.00MHz, pol.V SR:27500 FEC:3/4 SID:8 PID:208/308. (20h33) A new channel has started in DVB-S2 Clear: Sudan Monwaat (Sudan) on 12522.00MHz, pol.V SR:27500 FEC:3/4 SID:9 PID:209/309. (20h33) A new channel has started in DVB-S2 Clear: Sudan Music (Sudan) on 12522.00MHz, pol.V SR:27500 FEC:3/4 SID:12 PID:212/312. (20h33) A new channel has started in DVB-S2 Clear: Sudan Sport (Sudan) on 12522.00MHz, pol.V SR:27500 FEC:3/4 SID:15 PID:213/315. 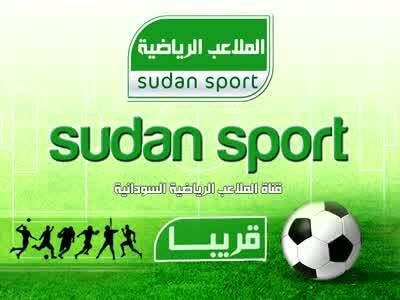 (20h33) A new channel has started in DVB-S2 Clear: Sudan Sport HD (Sudan) on 12522.00MHz, pol.V SR:27500 FEC:3/4 SID:101 PID:513[MPEG-4]/4128. (12h00) A new channel has started in DVB-S VeriMatrix: Avers (Ukraine) on 11766.00MHz, pol.H SR:27500 FEC:3/4 SID:6165 PID:6166[MPEG-4]/6167 Ukrainian. (18h49) Avers (Ukraine) is now transmitted Free To Air (11766.00MHz, pol.H SR:27500 FEC:3/4 SID:6165 PID:6166[MPEG-4]/6167 Ukrainian). 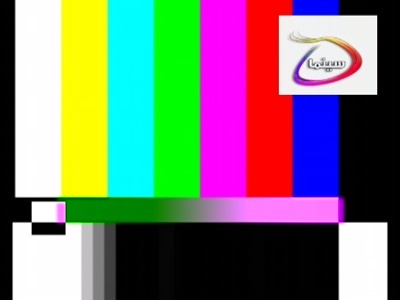 (20h53) Al Diwan has left 11655.00MHz, pol.H (DVB-S2 SID:1 PID:101[MPEG-4]/256 Arabic), it is no longer transmitted by satellite in Europe. (16h22) Orange Info (Slovakia) has left 12524.00MHz, pol.V (DVB-S2 SID:2506 PID:1601[MPEG-4] /1602 aac Slovakian), it is no longer transmitted by satellite in Europe. (18h59) Zadruga TV is now encrypted in BISS (12738.00MHz, pol.H SR:2928 FEC:3/4 SID:1 PID:308/256 Serbian). (08h58) Zadruga TV (Serbia) is now transmitted Free To Air (12738.00MHz, pol.H SR:2928 FEC:3/4 SID:1 PID:308/256 Serbian). 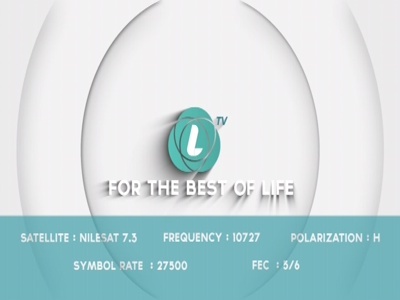 (19h33) New SID for Best TV (Arabic) on 10727.37MHz, pol.H FEC:5/6 SR:27500: SID:4940 ( PID:4942/4943 Arabic - Clear). 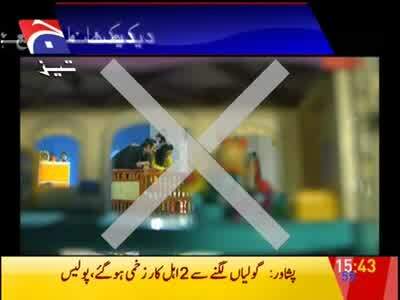 (09h37) New frequency for Quran TV: 12685.00MHz, pol.H (DVB-S SR:27500 FEC:5/6 SID:1680 PID:1681[MPEG-4]/1682 Arabic- Clear). (09h35) BeIN Sports HD 3 Max has left 12729.00MHz, pol.H (DVB-S2 SID:5503 PID:631[MPEG-4] /632 English,633 English,634 English), it is no longer transmitted by satellite in Europe. (10h18) A new channel has started in DVB-S2 Nagravision 3: NHK World (Japan) on 12207.00MHz, pol.H SR:27500 FEC:3/4 SID:303 PID:5137[MPEG-4]/5138 English Japanese. (19h51) Prima Plus HD is encrypted again after being temporarily unencrypted on 11771.00MHz, pol.V SR:30000 FEC:3/4 SID:43 PID:1431[MPEG-4]/1432 Czech (Panaccess). (10h16) Cyfrowy Polsat: A new channel has started in DVB-S2 Irdeto 2 & Nagravision 3: Polsat Rodzina (Poland) on 12188.00MHz, pol.V SR:27500 FEC:3/4 SID:7311 PID:390[MPEG-4]/391 Polish,392 Polish. 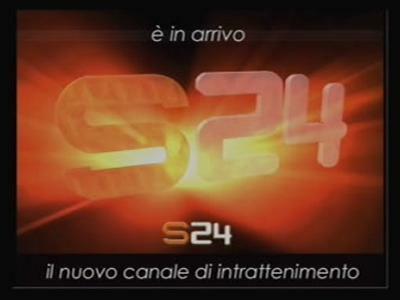 (06h24) Rai 4K is encrypted again after being temporarily unencrypted on 11075.00MHz, pol.V SR:27500 FEC:2/3 SID:1 PID:101[H.265]/102 Italian,103 Italian (Nagravision 3). (21h16) SNTV is encrypted again after being temporarily unencrypted on 12610.00MHz, pol.V SR:9000 FEC:3/5 SID:101 PID:1012[MPEG-4]/1013 aac Somali (Cryptoguard). (22h58) Signs and Wonders has left 12682.00MHz, pol.V (DVB-S SID:128 PID:1513/1514 English), it is no longer transmitted by satellite in Europe. (22h58) Miracle Channel has left 12682.00MHz, pol.V (DVB-S SID:209 PID:1837/1838 English), it is no longer transmitted by satellite in Europe. (22h58) Omega TV has left 12682.00MHz, pol.V (DVB-S SID:219 PID:1001/1002), it is no longer transmitted by satellite in Europe. (10h18) A new channel has started in DVB-S Clear: ZNBC 2 (Zambia) on 3772.00MHz, pol.R SR:5000 FEC:3/4 SID:1 PID:39/40 English,41 English. (10h18) A new channel has started in DVB-S Clear: ZNBC (Zambia) on 3772.00MHz, pol.R SR:5000 FEC:3/4 SID:2 PID:33/36 English,38 English,48 English. (19h29) Nova Cinema has left 12245.00MHz, pol.H (DVB-S2 SID:4021 PID:2102[MPEG-4]/2103 aac Czech), it is no longer transmitted by satellite in Europe. 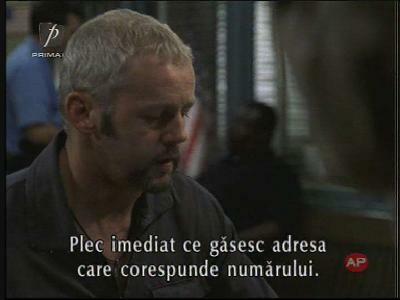 (23h49) Romania TV is back on 12354.00MHz, pol.H SR:3333 FEC:3/4 SID:1 after a break ( PID:256/258 Romanian - Clear). (22h10) Sky Deutschland: Sky Sport Bundesliga 9 HD has left 11332.25MHz, pol.H (DVB-S2 SID:337 PID:[MPEG-4] / German), it is no longer transmitted by satellite in Europe. (22h10) Sky Deutschland: Eurosport360 HD 8 has left 11332.25MHz, pol.H (DVB-S2 SID:340 PID:3583[MPEG-4] /3587 German), it is no longer transmitted by satellite in Europe. (22h11) BBC & Freesat & Sky Digital: New FEC for BBC Two HD on 10847.00MHz, pol.V: FEC:3/4 ( SR:23000 SID:6940 PID:5500[MPEG-4] /5502 nar,5501 English - Clear). (22h11) BBC & Freesat & Sky Digital: New FEC for BBC One HD on 10847.00MHz, pol.V: FEC:3/4 ( SR:23000 SID:6941 PID:5400[MPEG-4] /5402 nar,5401 English - Clear). 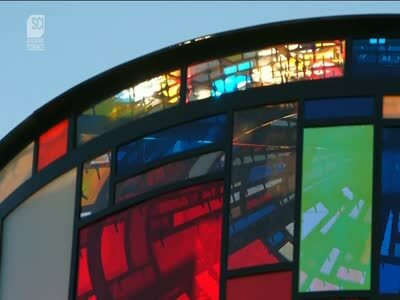 (22h11) BBC & Freesat & Sky Digital: New FEC for BBC One North Ireland HD on 10847.00MHz, pol.V: FEC:3/4 ( SR:23000 SID:6943 PID:5300[MPEG-4] /5301 English - Clear). (22h11) BBC & Sky Digital: New FEC for CBBC HD on 10847.00MHz, pol.V: FEC:3/4 ( SR:23000 SID:6952 PID:5600[MPEG-4] /5602 nar,5601 English - Clear). (22h12) BBC & Freesat & Sky Digital: New FEC for BBC One Scotland HD on 11024.00MHz, pol.H: FEC:3/4 ( SR:23000 SID:8901 PID:5100[MPEG-4] /5101 English - Clear). (22h12) BBC & Freesat & Sky Digital: New FEC for BBC One Wales HD on 11024.00MHz, pol.H: FEC:3/4 ( SR:23000 SID:8911 PID:5200[MPEG-4] /5201 English - Clear). (22h12) Sky Digital: New FEC for BBC News HD on 11024.00MHz, pol.H: FEC:3/4 ( SR:23000 SID:8921 PID:5000[MPEG-4] /5001 English - Clear). 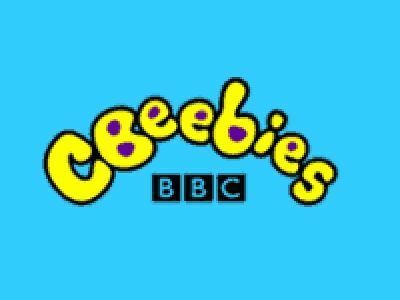 (22h12) Sky Digital: New FEC for CBeebies HD on 11024.00MHz, pol.H: FEC:3/4 ( SR:23000 SID:8932 PID:5300[MPEG-4] /5302 nar,5301 English - Clear). (22h12) Sky Digital: New FEC for BBC Four HD on 11024.00MHz, pol.H: FEC:3/4 ( SR:23000 SID:8951 PID:5300[MPEG-4] /5302 nar,5301 English - Clear). (22h12) Sky Digital: New FEC for CBeebies HD on 11024.00MHz, pol.H: FEC:3/4 ( SR:23000 SID:8952 PID:5300[MPEG-4] /5302 nar,5301 English - Clear). 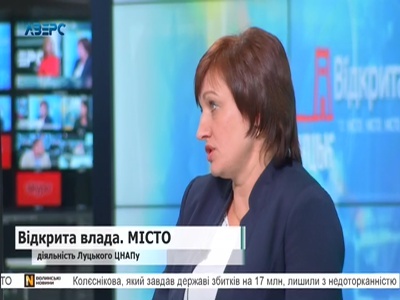 (15h29) Mist TV has left 12073.00MHz, pol.H (DVB-S SID:6565 PID:6566/6567 Ukrainian), it is no longer transmitted by satellite in Europe. (22h09) RTS Svet has left 12699.00MHz, pol.H (DVB-S2 SID:100 PID:1001[MPEG-4]/1002 Serbian), it is no longer transmitted by satellite in Europe. (06h52) Al Alam Al Yawm (Saudi Arabia) is now transmitted Free To Air (12475.50MHz, pol.V SR:27500 FEC:3/4 SID:5 PID:337/338 Arabic). (06h52) Almajd Documentary (Saudi Arabia) is now transmitted Free To Air (12475.50MHz, pol.V SR:27500 FEC:3/4 SID:6 PID:353/354 Arabic). (06h52) Radio Dal TV (Saudi Arabia) is now transmitted Free To Air (12475.50MHz, pol.V SR:27500 FEC:3/4 SID:7 PID:369/370 Arabic). (06h52) Basmah (Saudi Arabia) is now transmitted Free To Air (12475.50MHz, pol.V SR:27500 FEC:3/4 SID:9 PID:401/402 Arabic). 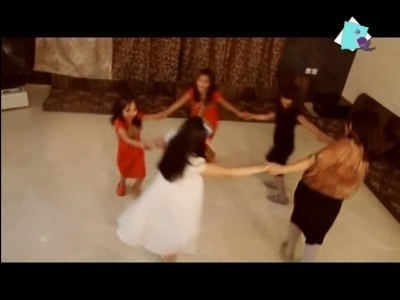 (06h52) Majood Interactive Channel (Saudi Arabia) is now transmitted Free To Air (12475.50MHz, pol.V SR:27500 FEC:3/4 SID:10 PID:417/418 Arabic). 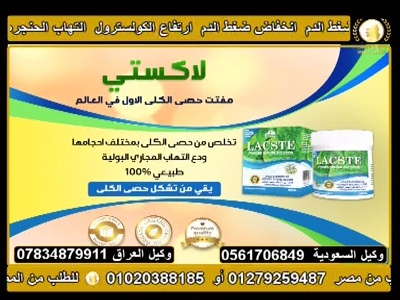 (06h52) Fakir wa Ela´ab (Saudi Arabia) is now transmitted Free To Air (12475.50MHz, pol.V SR:27500 FEC:3/4 SID:11 PID:433/434 Arabic). (06h52) Almajd Mosaic (Saudi Arabia) is now transmitted Free To Air (12475.50MHz, pol.V SR:27500 FEC:3/4 SID:12 PID:449/450 Arabic). (06h52) Almajd Sayfiyah (Saudi Arabia) is now transmitted Free To Air (12475.50MHz, pol.V SR:27500 FEC:3/4 SID:13 PID:465/466 Arabic). (22h20) Al Alam Al Yawm is encrypted again after being temporarily unencrypted on 12475.50MHz, pol.V SR:27500 FEC:3/4 SID:5 PID:337/338 Arabic (Cryptoworks & Irdeto 2). (22h20) Almajd Documentary is encrypted again after being temporarily unencrypted on 12475.50MHz, pol.V SR:27500 FEC:3/4 SID:6 PID:353/354 Arabic (Cryptoworks & Irdeto 2). (22h20) Radio Dal TV is encrypted again after being temporarily unencrypted on 12475.50MHz, pol.V SR:27500 FEC:3/4 SID:7 PID:369/370 Arabic (Cryptoworks & Irdeto 2). (22h20) Basmah is encrypted again after being temporarily unencrypted on 12475.50MHz, pol.V SR:27500 FEC:3/4 SID:9 PID:401/402 Arabic (Cryptoworks & Irdeto 2). (22h20) Majood Interactive Channel is encrypted again after being temporarily unencrypted on 12475.50MHz, pol.V SR:27500 FEC:3/4 SID:10 PID:417/418 Arabic (Cryptoworks & Irdeto 2). (22h20) Fakir wa Ela´ab is encrypted again after being temporarily unencrypted on 12475.50MHz, pol.V SR:27500 FEC:3/4 SID:11 PID:433/434 Arabic (Cryptoworks & Irdeto 2). (22h20) Almajd Mosaic is encrypted again after being temporarily unencrypted on 12475.50MHz, pol.V SR:27500 FEC:3/4 SID:12 PID:449/450 Arabic (Cryptoworks & Irdeto 2). (22h20) Almajd Sayfiyah is encrypted again after being temporarily unencrypted on 12475.50MHz, pol.V SR:27500 FEC:3/4 SID:13 PID:465/466 Arabic (Cryptoworks & Irdeto 2). 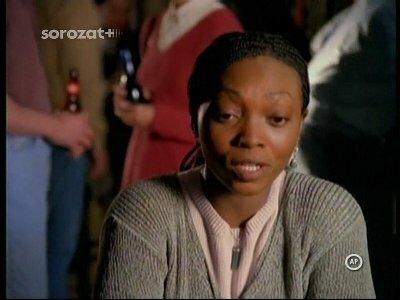 (21h52) OrangeSat Slovakia: Orange Info (Slovakia) (Slovakia) broadcasts in DVB-S2 Clear on 12524.00MHz, pol.V SR:10850 FEC:2/3 SID:2506 PID:1601[MPEG-4] /1602 aac Slovakian. 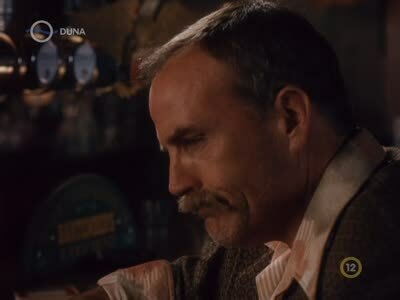 (21h53) Max TV: A new channel has started in DVB-S2 Clear: Posavina TV (Bosnia and Herzegovina) on 11678.25MHz, pol.H SR:30000 FEC:3/4 SID:132 PID:2817[MPEG-4]/2561 Bosnian. (06h12) Team:Media & Total TV: K3 (Bosnia) (Bosnia and Herzegovina) is now transmitted Free To Air (11304.00MHz, pol.H SR:30000 FEC:2/3 SID:21 PID:369[MPEG-4]/371 Bosnian). 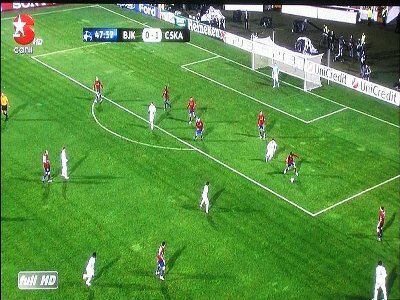 (21h56) Sport.ro is back on 12643.00MHz, pol.V SR:12500 FEC:3/4 SID:6 after a break ( PID:600[MPEG-4]/610 Romanian - Conax). 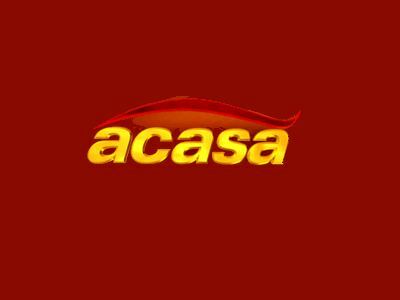 (21h57) Acasá TV is back on 12643.00MHz, pol.V SR:12500 FEC:3/4 SID:7 after a break ( PID:700[MPEG-4]/710 Romanian - Conax). 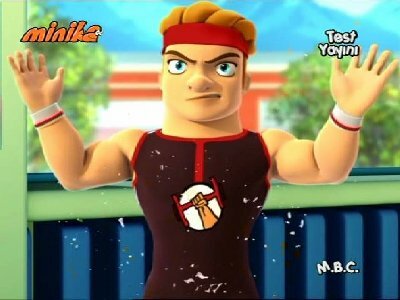 (16h12) Team:Media & Total TV: K3 (Bosnia) is encrypted again after being temporarily unencrypted on 11304.00MHz, pol.H SR:30000 FEC:2/3 SID:21 PID:369[MPEG-4]/371 Bosnian (VideoGuard). (23h48) Ibn Al-Nafis is testing in DVB-S2 Clear on 11257.61MHz, pol.H SR:27500 FEC:3/4 SID:100 PID:901/902 Arabic. (15h13) Fashion Television (undefined) is now transmitted Free To Air (11919.00MHz, pol.V SR:27500 FEC:3/4 SID:1 PID:2001[MPEG-4] /3001 English). (08h05) Fashion Television is encrypted again after being temporarily unencrypted on 11919.00MHz, pol.V SR:27500 FEC:3/4 SID:1 PID:2001[MPEG-4] /3001 English (Viaccess 4.0). (21h56) Cyfrowy Polsat: A new channel has started in DVB-S2 Irdeto 2 & Nagravision 3: Polsat Games (Poland) on 10758.00MHz, pol.V SR:27500 FEC:3/4 SID:17028 PID:296[MPEG-4]/552 Polish. (07h54) A new channel has started in DVB-S2 Clear: GS TV (Turkey) on 3828.00MHz, pol.V SR:7200 FEC:2/3 SID:1306 PID:2062[MPEG-4]/2063 English. (07h54) Vedic is back on 3778.00MHz, pol.V SR:2940 FEC:3/4 SID:2 after a break ( PID:514[MPEG-4]/515 English - Clear). (17h48) Vedic has left 3778.00MHz, pol.V (DVB-S SID:2 PID:514[MPEG-4]/515 English), it is no longer transmitted by satellite in Europe. (22h07) New PID for Al Hilal TV: PID:48/4112 Arabic SID:3205 (12207.00MHz, pol.V SR:27500 FEC:3/4 - Clear). (09h53) A new channel has started in DVB-S2 Clear: Tigray TV (undefined) on 3645.00MHz, pol.L SR:2590 FEC:2/3 SID:1 PID:514/4111 Arabic,4128. (22h57) Turksat 8K Test is testing in DVB-S2 Clear on 11177.00MHz, pol.V SR:34288 FEC:2/3 SID:16800 PID:5150[H.265]!8k/. (22h58) Lifetime Turkiye (Turkey) broadcasts in DVB-S Clear on 12089.00MHz, pol.H SR:4400 FEC:5/6 SID:16201 PID:4851/4951 Turkish,5051 English.